Pinecrest Gardens is a place that has activities for visitors of all interests. The garden is a charming respite for most local families as well as visitors. Featuring lush vegetation and enormous banyan trees, it is an amazing place to let children loose to play while parents enjoy the scenery. Play areas include a large playground, butterfly exhibit, a petting zoo as well as the Splash ‘n Play water area open to kids ages 2 to 12. Many stone tables are scattered throughout the park where visitors can have a picnic lunch. This place is fun for people of all ages. The Botanical Gardens of the park offer some of the most stunning and rare species of plants from around the globe. Here, you will enjoy Florida’s wide range of fauna like turtles and huge iguanas at splendid Swan Lake. There is also a movie room where visitor can enjoy latest films. In the evenings there are adventurous flashlight trips and a featured movie. Do you love chess? You are in for some fun when you partake in a chess game with 25” tall pieces. Played on the grassy area, these games will undoubtedly fascinate both players and spectators. There are also domino games. Bring your buddies and test your playing skills with a breathtaking garden setting. One of the latest attractions in the Pinecrest Gardens is Splash ‘N Play, a small water park. The Splash ‘N Play encompass water features for the delight of kids. It is open on a daily basis from 10 AM to one hour prior to the gardens closing. The multicolored playground provides children a variety of exercise and fun. 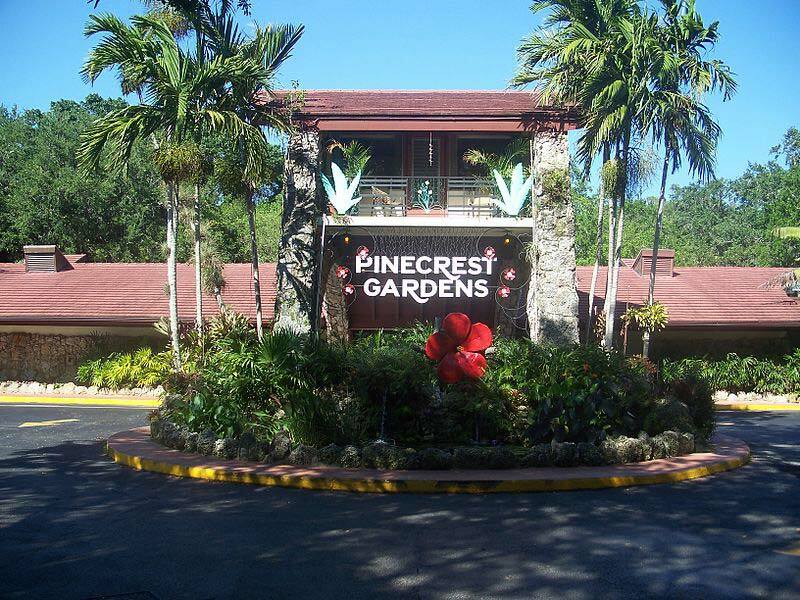 Pinecrest Gardens welcomes local residents and visitors to drop the pressures of life at the entrance to the park and take a walk through paradise. Whether you are 6 or 60, you are sure to enjoy the parks’ wonders.